The old health resort tradition in Varberg has been refined and is nowadays a way of life for both residents and visitors. All prerequisites for a good quality of life are available here, along with the opportunity to put together an individualized range of treatments. A course of treatment can consist of a massage therapy or seaweed baths, a stiff wind and a windsurfing board, a visit to the Cold Bathhouse or a woodland excursion to Åkulla Beech Forest. Welcome to Varberg to find your particular course of treatment! Department stores and food shops have more generous opening hours and are also open on Sundays. Varberg is an exciting town with everything at a convenient distance. 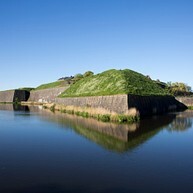 With its dramatic history as a capital and a strategically important territory for Swedes and Danes, Varberg is today an inspirational historical site. Below are the attractions you do not want to miss. 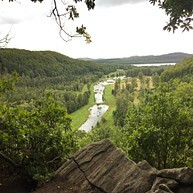 Getterön offers excellent opportunities for bird watching. You get right up close to the birds without disturbing them thanks to the hiding spots and observation positions. During spring and autumn large numbers of species regularly breed or nest here. In addition to these, a large number of temporary guests come to visit. 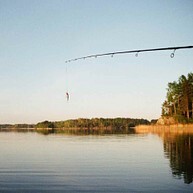 Not less than 336 species have been recorded at Getterön. 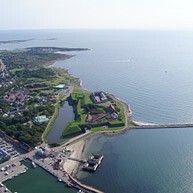 Varberg’s primary visitor attraction, the County Museum, is situated at the very top of Varberg Fortress. 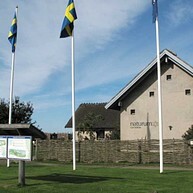 It is a historical and cultural museum that exhibit documents and objects from Halland, as well as arrange markets, exhibitions, lectures and guided tours. The Fortress bath is located alongside the fortress pier. 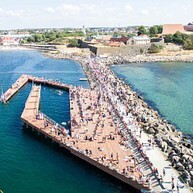 It combines a sun deck, a jetty, and a diving tower and is suitable for sunbathing, swimming, diving and playing in deep water - right in the center of Varberg. Dating from 1903 and renovated in a Moorish style, the Cold Bathhouse is used by bathers during both summer and winter. Through the large windows in the sauna, you have a fantastic view of the shimmering sea. The Bathhouse is divided into two parts, one for the gentlemen and one for the ladies, each containing two saunas. Getteröns Naturum is a house on the premises of the famous bird sanctuary. The house is at the edge of the sanctuary and blends in well with the landscape because of its unique thatched roof. Inside you find an exhibition describing the area, its history and all the bird species found in the region. There you also find a café with a fantastic view over the sanctuary as well as a shop and a conference room. 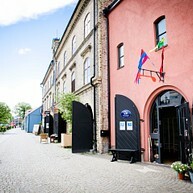 The building called Komedianten is located in the city center, housing the City Library, City Art Gallery, Varberg Theatre & a café. This is the place to borrow books, surf on the internet, look at interesting art, listen to lectures or attend performances and concerts. In the center of Varberg, down by the harbor, you find Hamnmagasinet. 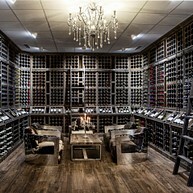 The house was built around 1874 and has been renovated since. Today it is a center for art with exhibitions throughout the year in the art gallery, a silver forge, a glass blowing studio and a pottery studio. From the beginning, Ästad Vineyard was just a traditional farm but is now winning prizes as the area's most inspiring environment for meetings and activities. 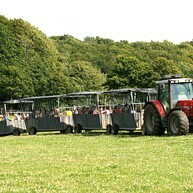 You can enjoy both activities at the farm, the food at the restaurant as well as interacting with the nature in the spa. The activities at Ästad are constantly evolving - the popular "Prisoners on the farm" has been with them a long time and is still the most popular activity, closely followed by their high rope course with zip lines, wine tastings, and of course, their Senses Spa in which you find the world's only underwater sauna. In the spring of 2011 Ästad Vineyard planted 15,000 logs of the grape Solaris and their own wine was first served to guests in 2015. You can experience vineyard hikes and tastings, where the vineyard sommeliers and winemakers share their expertise in these areas. In the middle of the beech forest, you find Öströö sheep farm, presenting one of Sweden's largest stocks of Gotlandish sheep as well as a great stock of Highland Cattle cows. At the farm, there is a handicraft shop where they sell sheepskin products and straw work. There is also a butcher's shop where they sell their own ecological products, including tasty lamb and other delicacies. You can also go on an exciting lamb safari on Öströö's beautiful premises to see the lively lambs and furry cows. 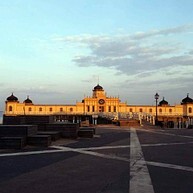 Strandpromenaden, the seafront promenade, was built in 1912 and is a popular walking area for both visitors and locals. In any weather, people can be seen walking from Kallbadhuset in the north to Apelviken in the south. Here one can meet both joggers and cyclists. Enjoy the fresh scent from the sea, salt and seaweed as you walk along the promenade, passing cliffs, beaches, and the famous nudist beaches. Sheltered from the wind in Kärleksparken you find a beach café serving snacks, daily specials, and coffee. Every Wednesday and Saturday, all year round, there is a market day at the big square in Varberg. This is an old tradition that continues to this day. Here you can choose from a wide range of seasonal products, like fruits and vegetables, herbs, clothes, fabrics, handcraft and more. The snorkel trail is about 300 meters long and extends over sandy bottoms, eelgrass beds, and seaweed-covered rocks. There are thirteen buoys which lead down to the signs that are stuck in a concrete foundation on the seabed. The signs offer exciting reading under the water for those who want to learn more about marine animals and plant life. To snorkel you must be able to swim. The white buoys are located in shallow water while the red ones are located in deeper water. The depth can vary depending on the low and high tide, but the maximum depth is about three meters and minimum depth is approximately one meter. It is important to never snorkel alone and think about safety. If a station feels too difficult, it is better to skip it.